Beauty Q&A with Maurah Ruiz! Maurah Ruiz is a certified makeup artist, vlogger, and pageant winner. She was Miss Austin 2014 within the Miss America organization and will be gracing the stage to compete again in 2017! She is poised, cheerful, and has a pearly white smile and hair with endless bounce and shine. She led a worthy petition against Urban Decay Cosmetics earlier in the year, and during her time at Texas State she created a marketing and support organization for the University’s Ice Hockey team, called the Bobcat Ice Babes. I wanted to know a little more about Maurah, the pageant world, her personal product faves, vlogging, and more, and she was kind enough to give us some insight and advice. Wild Swan: You were Miss Austin 2014 and will be competing again this year for the title. How exciting! What does it mean to you to be Miss Austin? What do you think it means to be a beauty queen? Can you walk us through this process a little? 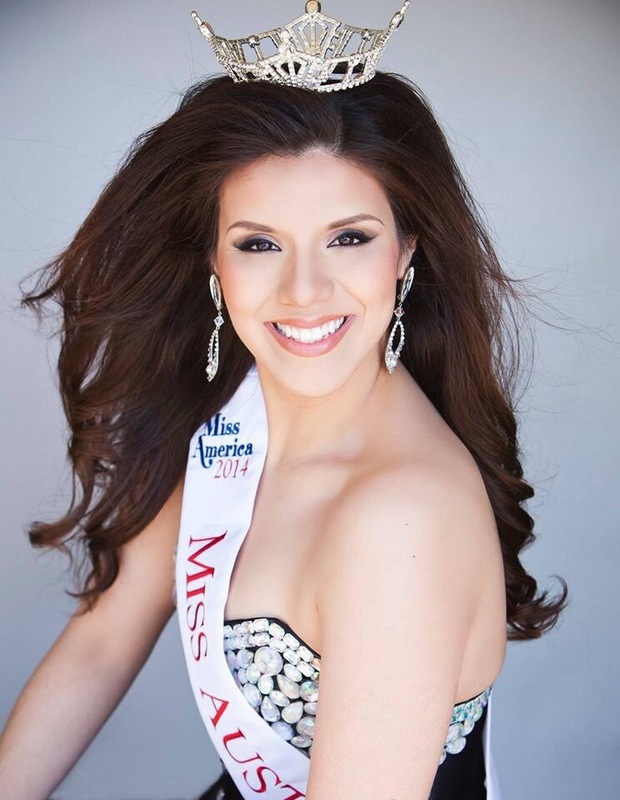 A: Being Miss Austin 2014 within the Miss America Organization was a huge honor. What I loved about that position was being able to inspire others to give back. I actually received the Miracle Maker Award at Miss Texas 2015 which is awarded to the contestant who raises the most money for Children’s Miracle Network Hospitals. There were over 50 title holders across the state so that’s something I’m really proud of. Now I am competing in the Miss USA system which inspires women to be “confidently beautiful”. It empowers women to develop themselves and be their own personal best. They encourage their contestants and title holders to make real change, first with our local community and working towards a global audience. Research has shown the #1 obstacle for women to overcome in reaching their potential in any endeavor is a lack of self-confidence. The Miss USA and Miss Universe organizations inspire women to be confident. Being a beauty queen to mean means being more than a pretty face. It’s important to work out, eat healthy, and present yourself in a way that you are proud of, but to me true beauty lies within. I love this quote “People are like stained-glass windows. They sparkle and shine when the sun is out, but when the darkness sets in, their true beauty is revealed only if there is a light from within.” That is the true essence of what makes a beauty queen- someone that is beautiful inside and out. The process to win a title is first applying for a local pageant! I will be competing in Miss Austin USA. After that there is paperwork, paying your entry fees (typically paid for by sponsors in your community), and attending rehearsals. After that, the day of competition is what determines the winner. Competition in the Miss USA system is divided into three categories: Interview, Swimsuit and Evening Gown. Judges will be looking for an overall winner. After you are crowned then you begin preparation for Miss Texas USA which will be the same competition categories but on a much larger scale. There will be preliminaries and then finals. After that, Miss Texas USA goes on to compete for Miss USA! Wild Swan: What advice can you give to women who may be considering competing in pageants? Is there anything you had to learn on your own that you wished you knew starting out? A: The best advice that I can give to someone who is interested in pageants is first and foremost finding the system for YOU. There are all different types of pageants. Finding one that you love and is a place where you can grow and develop yourself is ideal. I had to learn everything on my own as I started pageants later in life, but the one thing I wished I knew starting out was to not be so hard on yourself. You might not win your first time, second time, or even fifteenth time, but if you work hard and improve your performance every time, THAT to me is what it’s all about. I would also have to say to look in the mirror: That’s your competition. Not the girl to your right, or to your left. You’re competing to be the best version of yourself you possibly can be. Strive for that and the rest will fall into place. Wild Swan: What is unique about “pageant makeup”? What are some pageant makeup DO’s and Dont’s (something you see women doing wrong a lot)? A: Pageant makeup is stage makeup. That was kind of a shock to me when I first started. My first pageant I thought I was wearing enough makeup but then I saw pictures and realized I was way off. It needs to be heavier than normal to accentuate your features. A great example of pageant makeup is The Perfect Face Cosmetics; they are a brand that is calibrated specifically for stage. I also like MAC for stage makeup. The one thing that I see women doing wrong a lot for pageants is not filling in your brows. If your brows need to be filled in, this is a MUST for stage if not they will drown in those bright lights. Wild Swan: If you had only 5 minutes to do your makeup before taking stage to compete in a Pageant, what would you do? What would be your makeup musts? A: First, I would like to hope that never happens to me, because 5 minutes is simply not enough! But, if I absolutely had to, I would put blush, eyebrows, and eyeliner on with a pink lip color. My makeup must for stage is a setting spray! For a budget price I like NYX matte setting spray, for a splurge product I like Kat Von D’s Lock It spray. Before I knew of setting sprays I actually used hairspray. I wouldn’t recommend that to anyone over an actual setting spray since obviously hairspray shouldn’t be on your face, but it’s an old trick my cheer coach used to use for our competition makeup (glitter) so that it would stay throughout our routine. Good to know if you forget your setting spray! Wild Swan: Earlier this year you started a Change.org petition against makeup giant, Urban Decay, to have the title “druggie” removed from an eyeshadow shade in a particular palette called “Afterdark”. What made you want to petition against Urban Decay? What was your motivation? What was your ultimate goal? What was the outcome? Tell me a little about this. A: Well first I definitely have to share how I am huge into marketing and packaging. If you’ve ever watched my YouTube channel you would know that I’m so into that. When I initially heard of this palette I was ECSTATIC. I drove 30 minutes to my nearest Sephora to get it. I was swatching the colors in store and loved them, then I noticed one of the shadows was named “druggie”. The outside of the palette had the words “After Dark, Anything Goes” and then the words “druggie” appeared on the inside. As you can see, the marketing message here is very clear. It was disturbing to me that Urban Decay, a brand so many young women love, would market drug use in a glamorous way. I thought about approaching the Sephora manager to say something about this but I didn’t know if I was being overly sensitive. I drove home and did some research on their Instagram and Facebook and found out I wasn’t the only one upset about this. That’s what motivated me to create the petition- to have a platform for everyone who was upset about this to speak up and have their voices heard. I think that companies have the right to produce whatever products they want, and we as consumers have the choice to purchase whatever we want, but I also believe that if you are a company that is a household name (Urban Decay is owned by L’oreal) you have a responsibility to use your voice in a way that is moral and sound. I won’t support companies that think marketing drug use to young woman is okay. I partnered with Facing Addiciton, a national non profit dedicated to finding solutions for the addiction crisis facing America today, to help spread my petition. The story got picked up by local and national news sources, KVUE, The Huffington Post and Global Cosmetics News. Ultimately, Sephora apologized and did the right thing and did not reorder the palette. We never received a response from Urban Decay. It was a good lesson for everyone. I’m just an individual who created a platform for people’s voices to be heard. The whole success of this petition is credited to Facing Addiction and every single person who signed that petition and shared their story. Wild Swan: How do you think becoming a certified makeup artist has helped you in your craft? What were the biggest things you learned? Has it made you more confident in doing makeup? 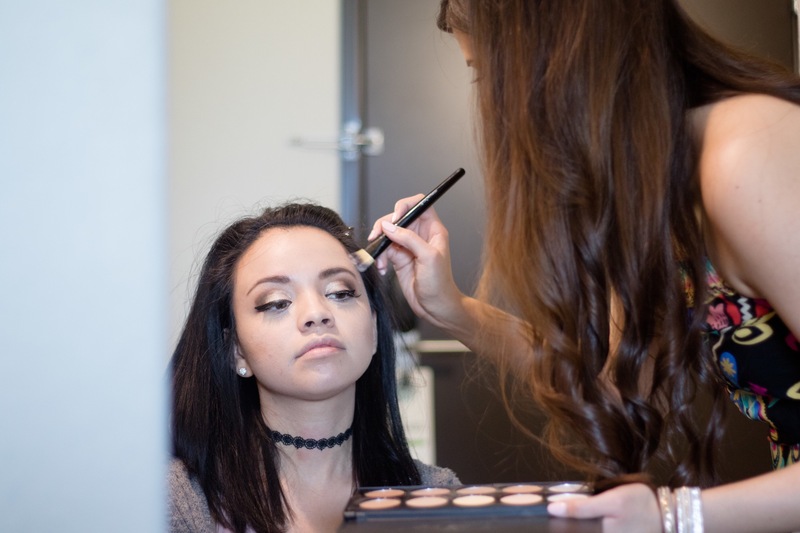 A: Becoming a certified professional makeup artist has helped me immensely in my craft! There are little nuances that only a tenured artist can really spot, and those are the little things that have really helped me elevate my skills. The biggest things that I learned is that the actual makeup application is only a part of being a makeup artist, you have to have marketing and business skills to be successful as well. It has definitely made me more confident in doing makeup especially with a variety of skin tones. Wild Swan: Are there any particular makeup artists who inspire you? A: Yes! I love Goar Avetisyan, she is an artist based out of Russia. She is so talented and always has these cute entertaining before and afters that showcase her work. I also like the artist behind the Instagram Paint Dat Face! His looks are bold and sultry and are far from what I normally do on my clients but usually do for myself. Love them. Wild Swan: What beauty products are you currently obsessed with and what are some of your all time “go to” products? A: Currently obsessed with Tarte Shape Tape! It’s a great full coverage concealer that glides on easily and is easy to work with. My all time “go to” products have always been anything Elf cosmetics. They are SO inexpensive and relatively good quality for what you pay for. Before I could afford the high-end brands Elf was my staple. Wild Swan: Do you swear by any day or night creams, serums, facial cleansers, lip scrubs? Describe your beauty & skin care routine. What helps beautify you and what is your skin type? A: My skin care regimen is all Skin Medica products. It is medical grade skincare and I love it! My routine is different for the morning and afternoon. I cleanse and exfoliate with AHA BHA exfoliating cleanser. For mornings I use Skin Medica TNS Essential Serum, HA5, and tinted Total Defense and Repair sunscreen as my base/moisturizer before my makeup. At night I use TNS again, .5 Retinol, Rejuvenating Hydrator and TNS Eye Repair. My skin type is normal. Wild Swan: Aside from your flawless skin you have bouncy, shiny Pantene commercial-like hair. What’s your secret? A special conditioner, glaze, or style? How do you keep it looking so healthy? A: You’re so sweet! Well, I always shower at night to let my hair dry naturally then style it in the morning. I always use a heat styling protector, currently I’m using the AVEDA damage remedy. It instantly repairs and protects from heat styling. My salon recommended it to me! I also sometimes use the OGX Coconut Milk Anti-Breakage Serum on the ends of my hair. It’s a good product and you can get it at Target for only $5.79. It also smells pretty good; I like that coconut smell. Wild Swan: Name one current beauty trend that you can’t live without and one you couldn’t live with? A: Live without: Highlighting, I love to have shimmer on my cheeks that highlight my cheek bones. Couldn’t live with: Ombre lips. Beautiful, but not my style! Wild Swan: Any favorite makeup brands, high end or “drugstore”? If you could only have three types of products in your makeup bag what would they be? A: That’s a tough one. There are certain brands that I like for makeup artistry like RCMA foundation palette or Makeup Forever setting powder but prefer other things for my own personal makeup. I like the Tarte brand a lot. If I could only have three products it would be mascara, concealer, and brow pomade. Wild Swan: I appreciate the fact that your Vlog (video blog) isn’t done with crazy editing, halo lights, posing. Don’t get me wrong, I love a high production video, and think the perfect lighting can really help, but I like that your videos showcase a real, human perspective on makeup and also show women that it’s not so hard to start a beauty channel. You just have to enjoy doing it and you have to go for it. You have time to grow and worry about it looking “perfect”. What are you thoughts on this? Any advice to my readers or aspiring vloggers? A: That’s exactly the point I’m trying to make with my blog, it doesn’t have to be perfect, it just has to be you! Lots of my subscribers tell me they enjoy watching my videos and I make them laugh. It’s not my intention to be funny I’m just being myself but am so happy I can make them smile! Advice to aspiring vloggers is to just START. Everyone starts somewhere and my channel is a true testimony to that. Wild Swan: What’s the best piece of beauty advice you’ve ever received? Do you have any to leave our readers with? A: The best beauty advice I have ever received is to make sure to use SPF every single day. It doesn’t matter if you have plans to be in direct sunlight or not, we sit under fluorescent lights at work, all of these things can effect your skin. If you don’t want to add the extra sunscreen step just get a foundation that has SPF in it. I recommend at least 35 SPF. And of course, beauty is only skin deep. Everyone has physical beauty; it is up to you to develop a beautiful heart. Lastly, I asked my readers what one question they would ask Miss Austin or a Pro Makeup Artist if they could have answered just one beauty related question. My reader Alexa came to me with a great one especially considering your skin is flawless, Maurah. Alexa asked: How do you get a flawless face? Is it the foundation, the applicators? I splurge on expensive makeup and still feel like I can’t do my makeup as perfect as I’d like. Wild Swan: I personally feel like achieving a flawless look starts with moisturized skin. If your skin isn’t moisturized your makeup can flake. Then a good primer is key (I swear by Josie Marans light Argan oil) before applying makeup (which will also help with moisturizing) and then be sure you’re using the right foundation for your skin type and for what you are looking to achieve. I like to apply foundation with a good old fashioned foundation brush. What about you, Maurah? What advice would you give Alexa so she can achieve a “flawless” look? A: Hi Alexa, thank you for your question. The first thing that I definitely want you to know and understand is that often times the images we see of models and on social media are often edited or photoshopped. With that being said it’s a slippery slope to compare yourself and your skin to the ones you see. Makeup can’t fix texture, at the end of the day your skin is what your skin is and will be. The only way to address having clear and smooth skin is to see a dermatologist. Often times you will find that your “expensive” or “designer” makeup is actually not good for your skin. I find myself always improving my technique and skills to achieve the best makeup look that I can but also recognize that this is reality and we all don’t walk around with filters. Something important to note about makeup application is that you should always start with a base/moisturizer. This is the most important step as it is the foundation for your other makeup. Let your skin soak up all that goodness for about a minute then proceed with your application. Skin prep is my final answer for a flawless face!